Summer is here and we are all about building new memories of sun, dreamy weather and outdoor plans for the next three months. As we are eager to dive into the season, it feels fabulous to extend this positive mood into our homes, making it the perfect setting to do so. Surrounding yourself with a fresher home will not only uplift the decor but most importantly, give you the energy to kickstart any day with a smile. So whether you are going on holiday or joining the staycation trend, this is the right time for a summer-inspired home revamp! But how? Keep reading to discover some tricks and effortlessly transform your home into a stylish, summer-infused paradise. 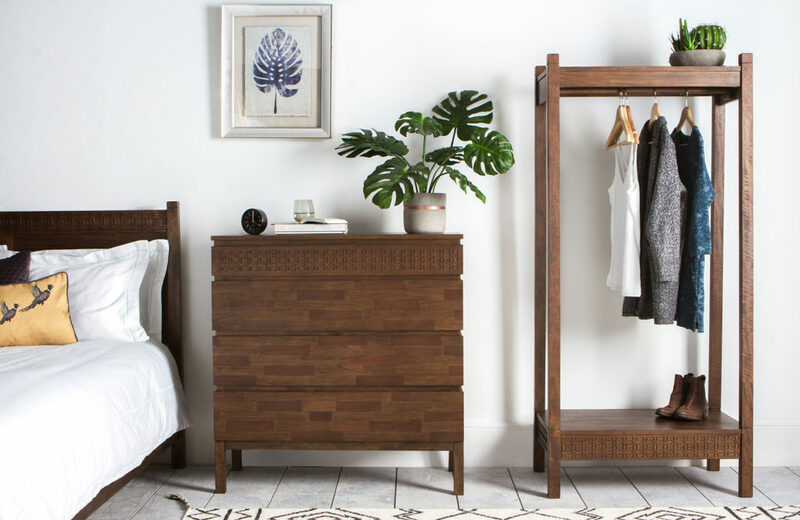 A bedroom can be given a quick summer update with an open wardrobe like the Sadie, fresh blue hues such as the Blue leaf wall art and the forever-green, lush faux Monstera. Sales are coming up very soon — watch this space — so this is a great moment to invest in large wooden designs. That beautiful design you had on the top of your wish list last season? Buy it now and enjoy all-year-round style at a fabulous price. When choosing woods, take the last trends in account but remember that this is a timeless material that will never go out of style. Go for pieces with prominent grain and natural finishes that highlight the unique, raw beauty of wood. Then sit back and see that organic feel loading the room with a relaxed vibe that feels earthy, summery and stylish at the same time. 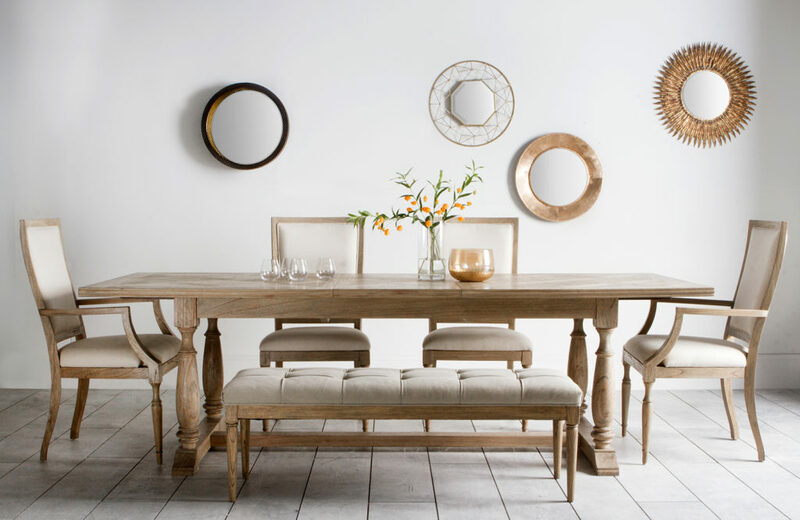 The Juno dining table and chairs celebrate the beauty of subtle finishes and natural materials, such as Mindy Wood and crisp, white linen. Take the Juno, for instance, a range inspired in summers spent around a veranda, which ages beautifully exposed to quintessential summer elements – sun, wind and sand. Just one look takes you to your best Summer memories – and so will your interior from now on. 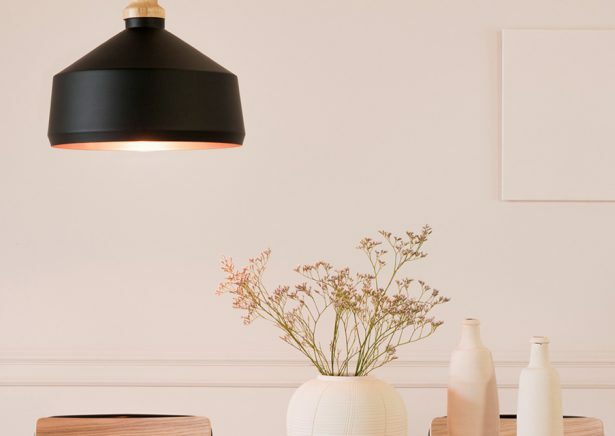 But if what you’re after is a quick, less permanent update of your decor, then definitely trust accessories and accent pieces to refresh your home effortlessly. Think ornaments, vases, textiles, wall art, lighting – choices are endless and with a very small investment, the style and layout of your living space will feel completely different. 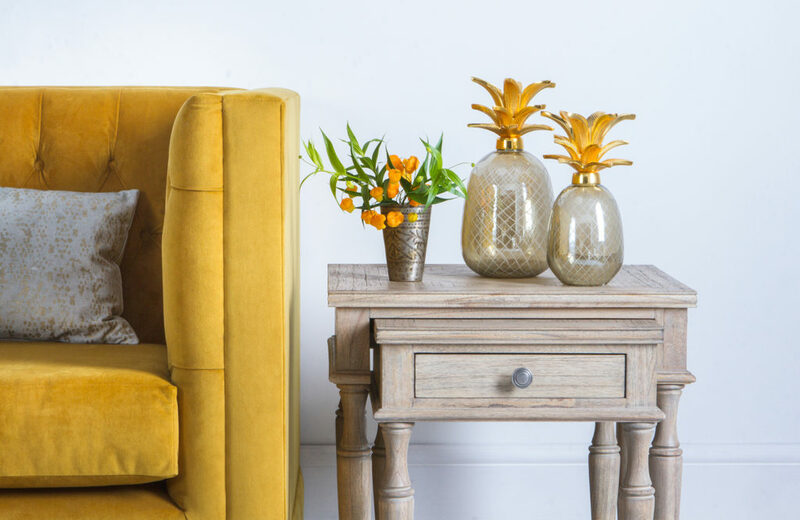 Pineapple magic, or how to transform a setting instantly with bold accents like our Bianca ornaments. 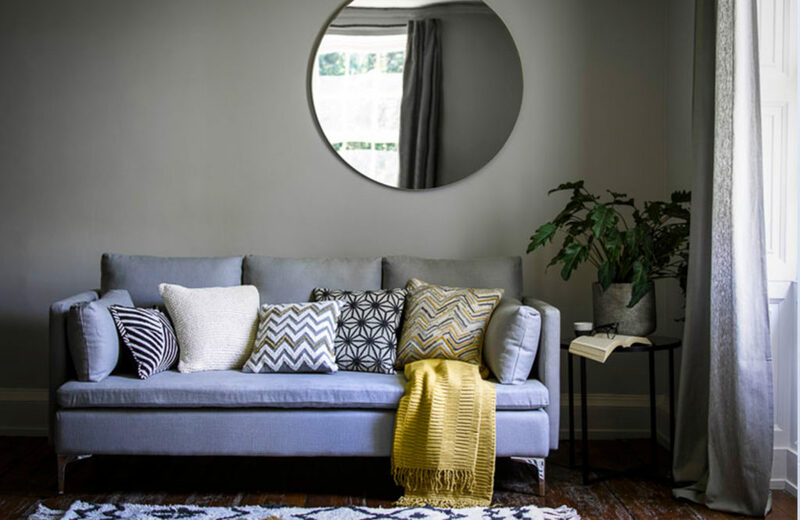 Soft furnishings, and cushions in particular, are also one of our favourite ways of updating the décor without major investments. Take a neutral sofa, for example, as the background for the perfect Summer spruce. Scatter a handful of cushions on it, mixing and matching patterns and coastal colours that make you feel good. If you can, try using different fabrics so you also tick the textural appeal box. Now step back and see the results – family sofa upgraded with a completely fresh look! Our Paul three-seater sofa, the perfect design to pull together an eclectic mix of cushions such as the Johari, Evie, Mayorca, Oswald and Prabal. All you have to do when the season is over is replace some (or all!) of them to make the room feel completely different. 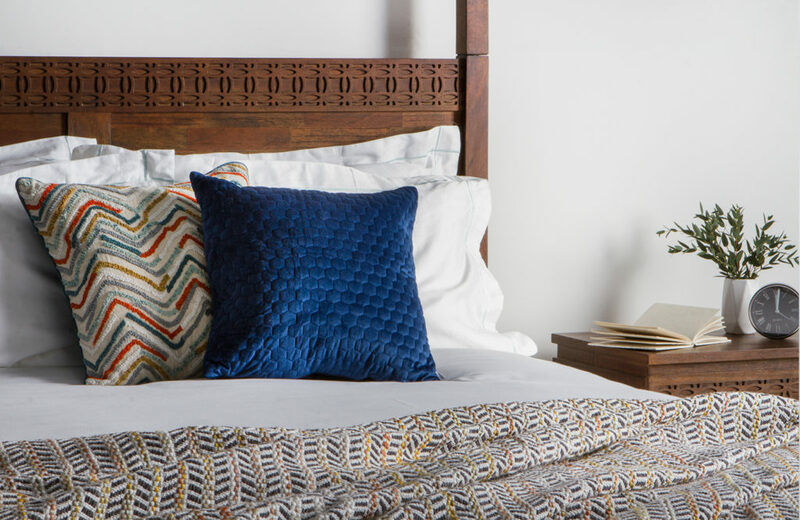 This magic trick also works beautifully when your bedroom needs a little décor to revamp – just replace the cushions at the top of the bed, pair with a soft throw and an area rug to see this space become a five-star bedroom with a luxurious feel. The place for your most stylish dreams, thanks to textured cushions such as the Prabal and Beehive, teamed with the colours of the Ella throw. But if there is something that makes homes flourish is wall decor. Get creative with your walls, thinking of them as a blank canvas to reflect your personality. Wall art or wall clocks can help you define the style of a room, adding a pop of colour and infusing each area with its very own identity. Display your favourite mix of hues, portraits and motifs to create a great impression over your guests and anticipate the home that lies ahead. 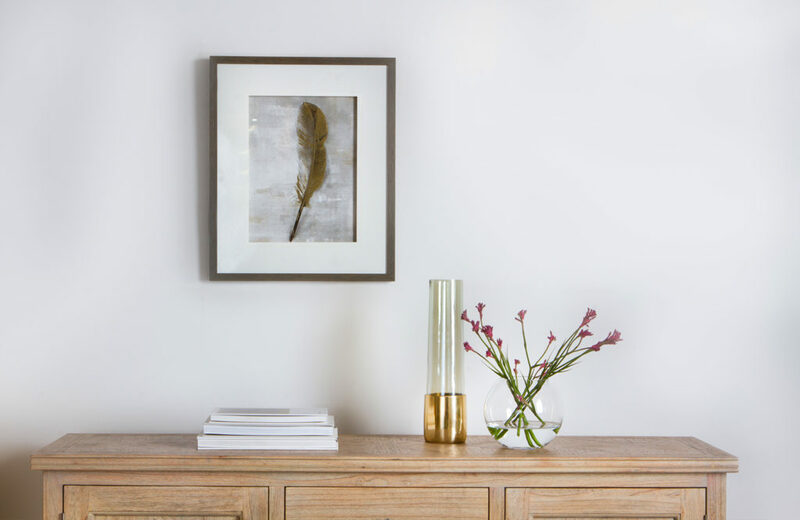 Wall art, such as our Golden Feather, combined with a pretty vase like the Jemima can lend a luxe feel to rooms and large furniture pieces. 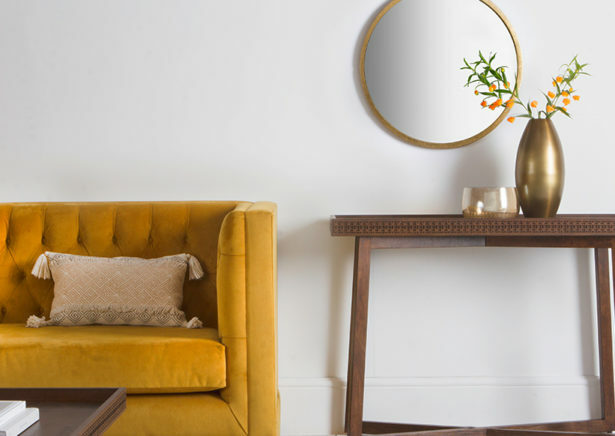 Mirrors also tick the practicality box as they are functional items yet also perfect to make any space look bigger. Place them in front of the window to reflect the beautiful summer light and spread mesmerising reflections across your home. 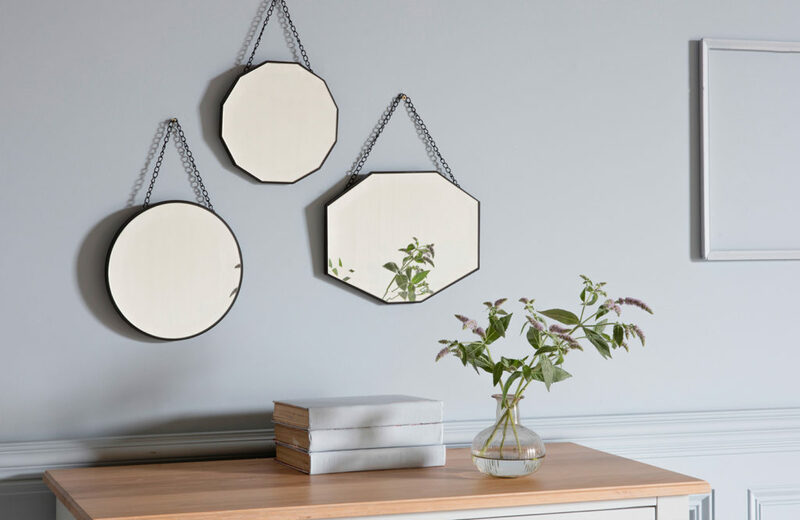 Dress your walls with mirrors like the Sylvie and their beautiful reflections. Mix and match shapes to maximise impact. 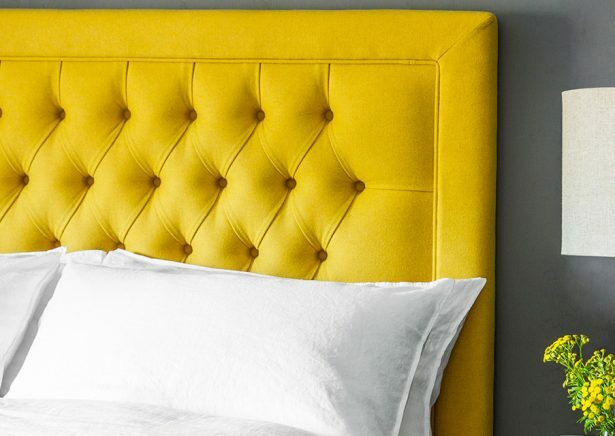 Are you a fan of decor overhauls or you’d rather do only a few tweaks with small accessories? How have you styled up your home for the summer? Let us know on Instagram, Twitter or Facebook.